Well, a few days ago we did a small survey in the blog where we were asking if we had to continue with this task. Finally, 19 friends answered affirmatively and 3 friends voted negatively. Thank you guys but... this administrator does not continue. At this moment I am spending a professional slightly complicated life and do not want to dedicate any more time to the blog. This takes me too much time for other more necessary occupations at this moment. With the period of Eurovision I burned the last neurons that I had... exclusive, intense, passionate and total dedication (We did 79 post!!!)... too much interest in a project that I believe that already it is not necessary. 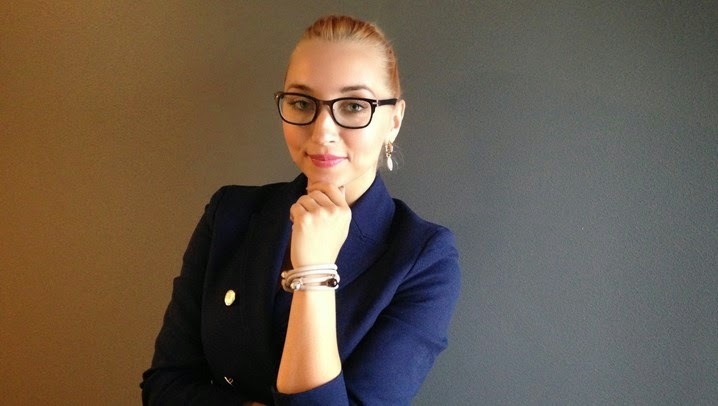 They have been 5 years accompanying Tanja in her brilliant and ascending professional career... If you have come to this post, I would like that you were reading my last intense post summary of these 5 years (2009-2014). Now to obtain information in english about Tanja, we will have to wait for other volunteers who dedicate his free time for the artist or... follow the information that she says in her own channels in Internet. Thanks to all!. See you... soon? To be or not to be... Do we continue with the blog? We do not speak about Shakespeare... but yes of the viability of continuing with the blog. Is it already necessary to continue with the blog? Is it useful for Tanja's career?. Well... at this point: what do we do? Really the aim of this blog was playful but always we have considered it to be useful for the artist... before had a big "empty" on the internet about Tanja and nothing written in english... now I see no reason nor good nor necessary strength to continue... I do not know if it's really useful for the hours used... In Eurovision devoted too much time to blog... many daily hours... I got involved too much effort... I feel a bit alone in the project. CONTINUE? Answer poll at sidebar right! If you have some time, I'd like you to read this long special article. The initial phase of this blog and successes: We have spread in english the professional career of a great artist, well-known in her country but very unknown outside Estonia. It was an a bit innovative and risky theme, because in this moment few artists of Estonia had web / blog in english... except Vanilla Ninja evidently. Our english isn't very good (we use translator for comfort and still I know that there are grammatical mistakes :) but if we wanted to do some international thing it had to be like that. We have had visits from the whole world. Obviously Estonia is the country that more the blog has visited us. The list of countries is endless... and we are speaking of before Eurovision. The idea of joining in a only web page all my favorite artists of European electro-pop and Estonian pop (pep1000 channel) was a good way of attracting to the Estonian music, new fans, who then turned aside for our blog and who did not know Tanja or other artists from Estonia. Diverse channels in youtube were cancelled for trying to spread Estonian music... this article in Ekspress was the only sample of solidarity that I know to the reason and was written by a Estonian journalist "fan" of Pep1000 channel and that surprisingly was living in my city. The problems that we had to obtain the songs "Another country song", "I can b the 1" or "Kuldne plaat 2002 awards" when they were not in Internet... complex processes and that we did not have help great either, and always with the problem that we do not know Estonian to do our negotiations. Tanja walks to the top: 2010 is a crucial year for Tanja's ascent. After the show Laulud Tähtedega (Estonian channel TV3) the professional life of our artist multiplies, the offers in shows, ads, fashion, theatre, TV's programs and concerts... all is now very abundant. A lot of videos of performances start abounding about this program principally in youtube. They will follow other shows of importance in TV as Laulupealinn or Elu Veinimoisas that will consolidate the reputation of her furthermore. From this moment we have disadvantage for work with the blog. From my country we cannot record TV3 on-line because only it is possible to see in the computer and it is not possible to record (and it has had moments that it is not possible to see). Since then and TV's later shows always we have to wait for who any volunteer puts the videos in youtube to start giving news or putting link to the videos. Complicated task of having a blog of "news" and of depending on the others. These shows are weekly and the need to have the videos and news for next week was creating a total dependence of the "volunteer" who was putting them in youtube. Our task is complicated but fun and exciting. The first interview: In 2011, november the first interview that Tanja grants to us, in this occasion for Pep1000 channel, web that also already knows. She says in this moment: "I think that this is very exciting, that people from other countries are interesting in what i do and who I am". The European fame still had not come but I already was saying to Tanja that there were people been interested in her. But at the same time I was saying to her that also there are problems with the Estonian stores to be able to buy her music with foreign card of credit. Also she speak to us about the problems of doing a album in solitarily: "I think about doing an album all the time. But it’s not that easy for singer without managers or sponsors to finance an album and all the expenses that come with that, but i’m not losing hope". Wikipedia: We were the first ones in putting Tanja at the wikipedia. It seems to me that it was neither in this moment nor in Estonian. Later some another user modified it modifying very much our article and the references that were joining it in blog. The first album in solitary - Gemini: Conscient of her increase of popularity, Tanja there does her first official Facebook in July, 2012 a few weeks before her first album in solitary "Gemini" in December of this year. Up to this moment Tanja only had her Facebook's personal profile, in which join friendship and work all at one... it did not have too much felt. From this moment Tanja initiates strongly and when her time allows it to her in the world of the virtual marketing because she -logically :)- knows the news, her concerts... we almost always find out about her actions when already they are made. A strong competition has gone out for us but... the motive of the blog is for her, therefore... everything better for her Facebook. Second interview: January, 2013. The things are changing... We congratulate to Tanja on her album in solitarily "Gemini" and say to her that there are many songs in English... Are you preparing an international projection? "Well, i do dream about going abroad or trying to... ;0) Now we have something to show, something to offer and we do have some meetings with some people... so lets see". Su nägu kõlab tuttavalt: "Your face sounds familiar" is a famous show in the whole Europe in which you present famous (singers, actors, humorists...) they interpret very known songs, it returned to place Tanja in the highest point of her popularity and it us demonstrated once again, that she adapts perfectly to all the TV's shows. In the memory magnificent actions have stayed as that of Loreen, Pink or Madonna. Precisely Tanja's dance with Argo Liik in "Try" would be probably the beginning of a great idea of contemporary dance for the Eesti laul 2014 (although they already knew from Fame 2006). In November 2013, Tanja creates its own official website. In this initial dates is written only in Estonian. Also she did Twitter, Pinterest, Instagram... all social networks and all linked together... the initial idea of ​​marketing is very good. Top in Estonian and International fame - From Eesti laul to Eurovision: We come to the miraculous classification for Eurovision. Even I remember when to the program ETV "Ringvaade" Tanja's classification promised to be for the Eesti laul. I remained without words... so many years waiting for this and now it is happening. Since then (december 2013), begin the first interviews to Tanja in English in diverse mass media. 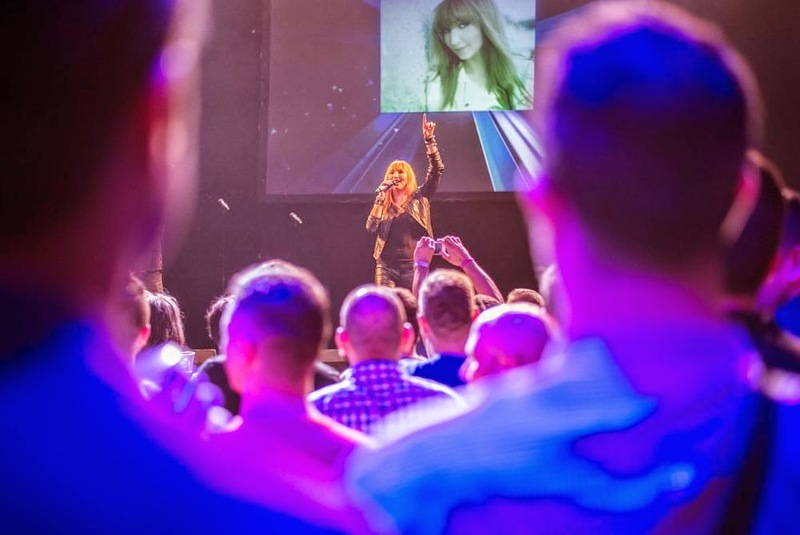 If you are a finalist of a national final for Eurovision already you exist internationally. When she wins on March 1 Eesti laul 2014, the interviews in portals of information of all the Eurovision countries one takes dizzy pace and in all the possible languages (english, spanish, french...). I believe that it had not heard speaking to Tanja in english until this day (only in some occasion in the show "Elu veinimoisas" that was done in France) and that well the girl speaks!. It is the highly gifted one even in the languages!. Tanja's official web that after gaining the Eesti laul happened to be exclusively in english and had problems of functioning diverse days. The information that Tanja tries to update does not do it across the web that has stayed as a basic and static device of information. Really though it has very big and nice photos, we were waiting for more of her official web. She tries to report on day after day in her Facebook, more rapid and instantaneous. We have still a high level of visits in the blog (some day very high) but now you put "Tanja amazing" in the search "Google" already takes webs related (always) to Eurovision to the user to numerous pages. Also in the forums they speak about Tanja well and badly on "Amazing". I surprised very much to read two days later (March 3) that already existed 17 pages in a Spanish forum speaking about Tanja... and in Spanish! this was unthinkable only weeks before. 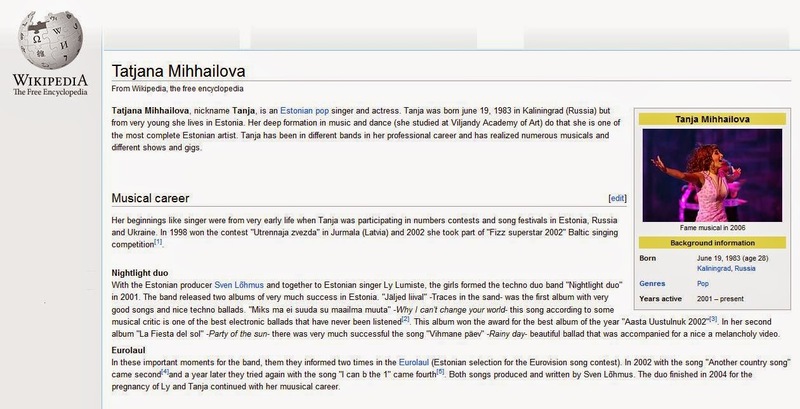 It was a very curious and striking moment...Our work initiated at the wikipedia as one of the sources in english more important that they speak about her and the text that she did in her biography of her official web, has been copied in all the articles done by "journalists" relating to the song of "Amazing" in Eurovision. There is no a deep investigation of the artists of the contest... they limit themselves to copying done by others. I believe that a good journalist has to understand more on the person that he speaks, to investigate more his/her professional life... We have to remember the habitual questions on Amazing and her dance similar to that of Loreen or if she sings "live"... she has answered thousands of times. A bit more of imagination!. Third Interview: A few days after gaining the Eesti laul I turn her to sending a few questions at this moment historically. She is late a few days in answering and she says to me: "I have like 27 interviews to do :) It's crazy". Now already the majority they would be in English. It is necessary to value and see since everything is evolving... I say to her: of your last album "Gemini" 11 songs already were in English... did you saw nearby your international career? Answer: "Well :) no… i hoped that some day somebody would buy my album from outside Estonia as well but… now it actually can happen and i'm very happy"
Live in Eurovision: The days of press conference the interviews to Tanja are countless (all in english in the contest and Estonian for Estonian magazines) and the questions always are more or less the same ones. 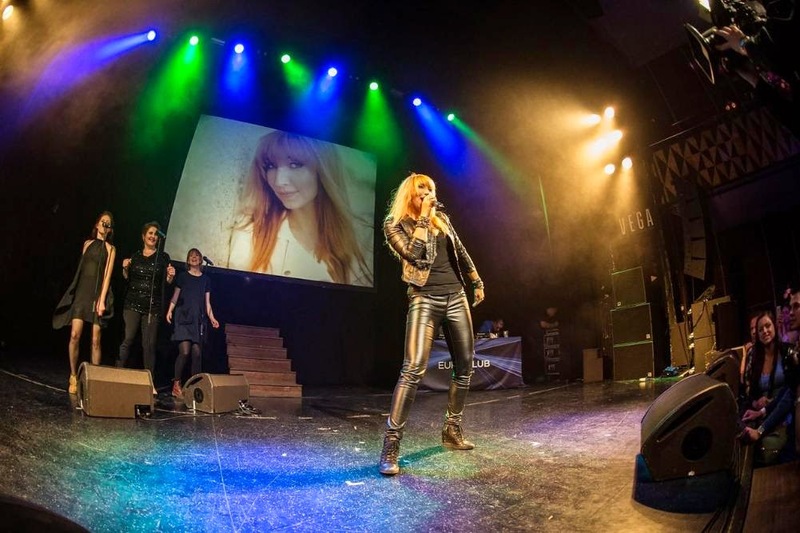 Tanja is announced in Denmark and also it does some small action in some Copenhaguen's coffee, Eurovillage or Euroclubs. The days of rehearsals she confronts them with naturalness as if the whole life had been on stage as this one. 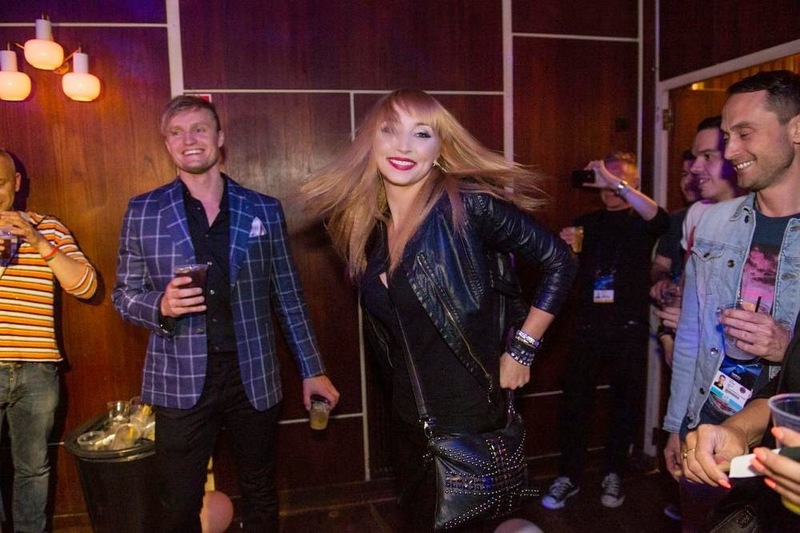 Tanja appears in numerous photos, thousands posts in the press of Eurovision, small blogs related to the festival, the press of Estonia... try to control everything about Tanja is very complicated and difficult. Nonetheless, we did an extraordinary campaign on Eurovision (79 post!!! OMG!!!). Now already she is international, a little pop star. Only it is necessary to wait the day of the action may, 6. This day Tanja's light would shine in Europe though there are strategic aspects that do not allow her go to the final. Nonetheless also we did a small critique on the performance and the improvable aspects that we observe. A date: on abril, 23 Tanja has on Facebook 5.555 fans -- May, 7 10.963 fans. In 14 days she duplicates the fans!. 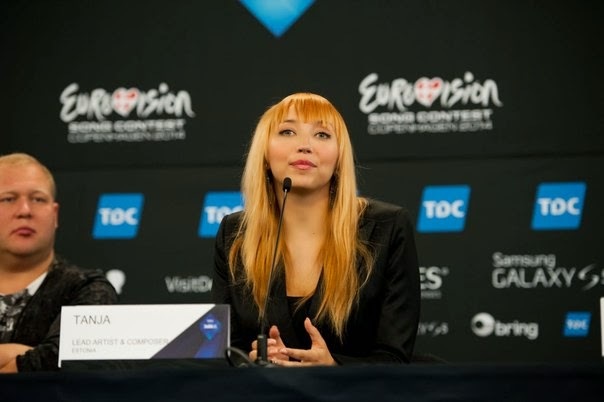 Logically when the contest is ended and she returns to Estonia, is settling down and stopping the number of fans. Participation: We have not could promote the participation in the blog. There are readers' scanty comments of the blog. The principal motive I believe that it has been because the blog is realized only in english. It could not be in Estonian because in this language only we know titles of songs, few words. Probably a double version english/estonian had been the better thing but do not be the one who can translate all that... and we live very far from Estonia. Any news done in Estonian in a Estonian magazine about Tanja, has in a few minutes, enough comments... We could not have had them. I sit it Estonian but you have to understand that this I initiate to spread the artist... it was not done by bad intention. But these 5 years of compiled material it cannot get lost has to be left here. To the free being "blogspot" from "Blogger" there will no be problems of not realized payments. The blog in the media: The blog also has had scanty repercussion in the mass media of Estonia. It has not just understood himself, not to being again, for the problem of the language. I do not want that they say that my blog is wonderful but curiously a good Estonian artist, has an unknown fan who has done a (nice :) blog to her. Only Elu24 did a small article about the blog... not since it happened! Thank you Elu24!!!! and now recently Postimees noticed us in the small polemic originated for seemed in the choreography of the videos clips of Tanja and Ruth Lorenzo in Eurovision 2014. Thank you also to them!. The author is involved too much in the project: Sometimes I have involved myself too much in the blog: Though I know that the aim of the blog is playful and we have amused ourselves very much doing it, there is a "project", a final "aim" that is the total spreading of the artist, always inside our possibilities. We want to do everything possible for her because we know that the blog people look at it... and sometimes enough people. Therefore, the night of March 1 I could not sleep, the blog had happened from "partial" interest to be a not official blog of an artist who will be famous in Europe from the following day. I am satisfied with my "casting" of favorite artist to spread it internationally. 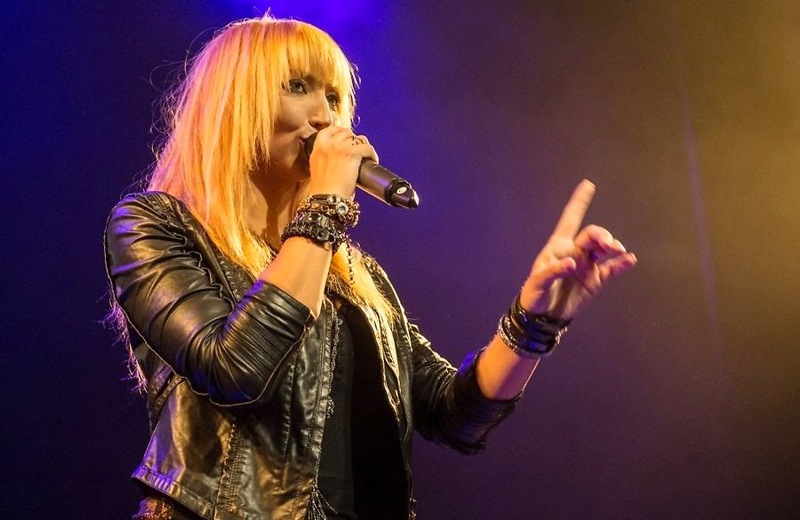 It might have chosen any other artist of Estonia (there are very good singers) but I concentrated on her. The band Nightlight duo impressed me strongly and since Ly Lumiste separated momentarily of the world of the music... well then I followed to Tanja. And now I see that my "choice" was not at random... finally she represented to Eurovision this year 2014 a very emotive moment for me. She is already a small international star!. Tanja has been recognized internationally, every thing what she has obtained to been by her effort, tenacity and an admirable witness... but yes that we can affirm that she was in the mind of some person outside Estonia before she was landing in Copenhagen... the stuff compiled in the blog is important and it would be a shame to lose it... the blog has worked as meeting point for the people who wanted to obtain information of the artist for sections, professional career and videos in english... and this yes that it is necessary to recognize it ;). 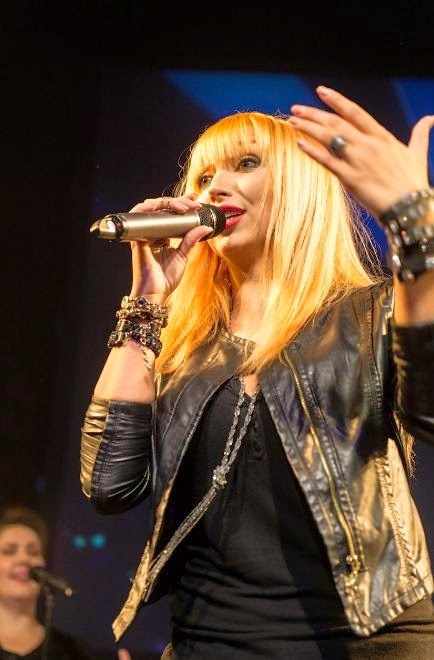 The most important thing for us of the interview: Tanja once said that she did not say for sure that is not participating in the Eurovision Song Contest again next year, but the principle remains valid "Never say never." Photos of the return of Tanja and Estonian team in the Tallinn airport. They come from Copenhagen after having lived through the experience of Eurovision. 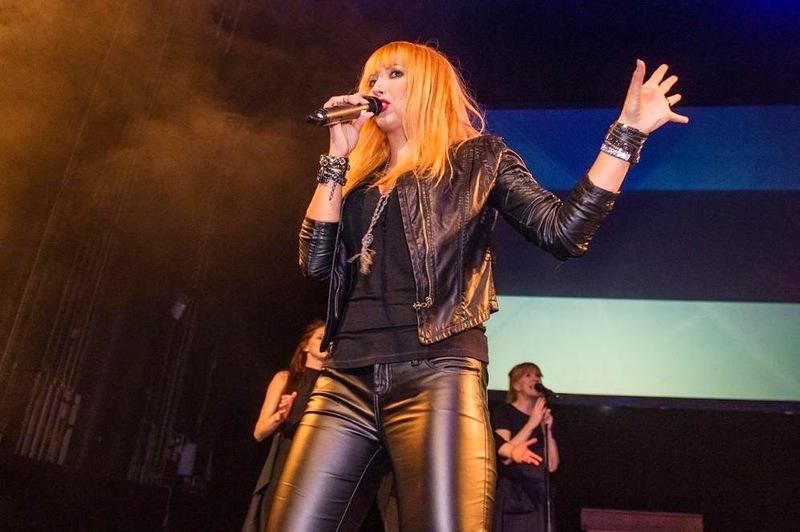 Tanja performing "Amazing" live at Euroclub in Copenhagen, 7 May 2014. She is accompanied by the co-author of "Amazing", Timo Vendt, at the saxophone.